Erlang is a concurrent functional programming language aimed at large applications, especially for distributed, highly available systems. Many Erlang programs of today are among the largest applications written in any functional programming language. 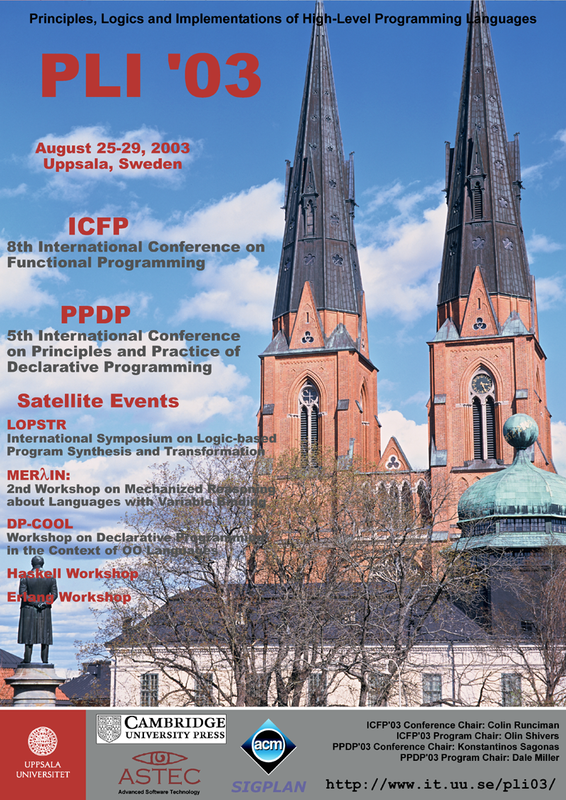 These applications offer new opportunities to evaluate functional programming and functional programming methods on a very large scale and suggest new problems for the research community to solve. Erlang with its vast set of libraries (including for example a distributed realtime database) has been available as open source for some years now, facilitating the spreading of the language as well as cooperation with academic research. This workshop will bring together the academic and the industrial functional programming communities, enabling the participants to draw lessons from the experiences so far, and to identify research problems relevant to the practice of functional programming.